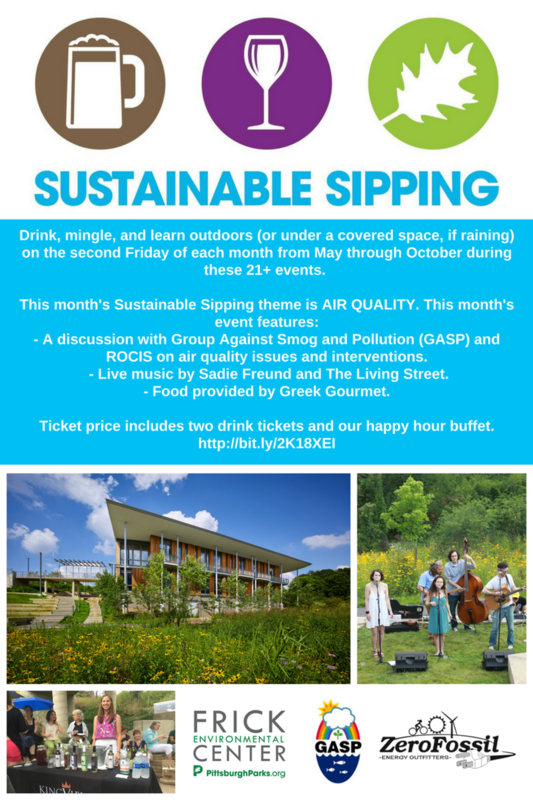 Enjoy beer or wine and insightful fun with fellow nature lovers at one of the greenest buildings on earth! Drink, mingle, and learn outdoors (or under a covered space, if raining) on the second Friday of each month from May through October during these 21+ events. 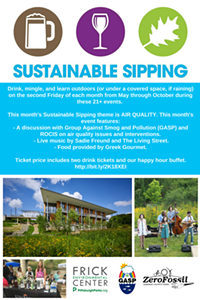 This month's Sustainable Sipping theme is AIR QUALITY. This month's event features: A discussion with Group Against Smog and Pollution (GASP) and ROCIS on air quality issues and interventions. Live music by Sadie Freund and The Living Street. Food provided by Greek Gourmet.